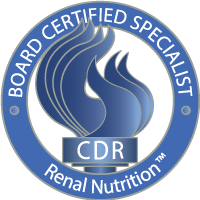 The Commission on Dietetic Registration (CDR) offers Board Certification as a Specialist in Renal Nutrition. Board certification is granted in recognition of an applicant's documented practice experience and successful completion of an examination in the specialty area. 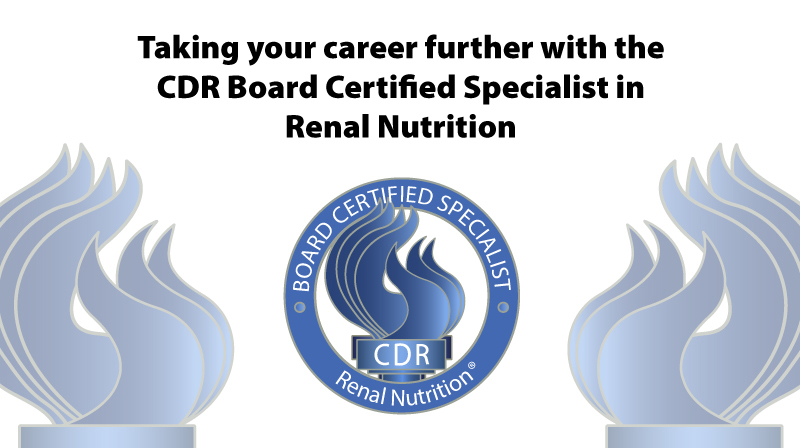 CDR, the credentialing agency for the Academy of Nutrition and Dietetics is an equal opportunity organization and does not discriminate among candidates on the basis of race, creed, gender, religion, national origin, disability or marital status.